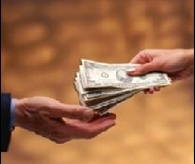 LA Cash for Gold™ is located in the city of Pasadena California. LA Cash for Gold™ offers a unique perspective to the Gold Buying industry. In 2007 we researched the Cash for Gold Market™ and discovered there was no foundation for a person looking to sell gold, silver and platinum publicly; to be able to price out their items by factoring in the key component. The gram weight, metal purity, and finally the payout percentage the company buying the item was offering based of the current spot price. As a wholesale Jewelry manufacturer, purchasing precious metals and quality diamonds is the key component we use daily to create our very own unique jewelry and designs. After years of business and research we decided to start buying gold and diamonds. To become a legitimate gold buying business, we obtained proper licensing from the state of California. Through the success of our jewelry manufacturing and precious metals buying, we now hold trademarks for three separate brands that solely belong to our National Gold Market Corporation. • To introduce ourselves and get well acquainted with our customers. • To help customers navigate through our website and gather information pertaining to their sale. • To educate our customers before they decide to sell their jewelry, precious, coins and metals, without feeling obligated or pressured to sell. Our solution is educational and upfront, putting “You” the customer in control of your investment. We believe that an educated customer will be able to catch the gimmicks and promotional games offered by many Companies. We want to help customers Avoid being swindled or taken advantage due to the lack of knowledge in the gold buying market. Most companies offer you 20% to 50% the New York Spot Price whereas LA Cash for Gold™ offers 75% to 90% for your Gold. Why we are Los Angeles most transparent Gold Buyer? 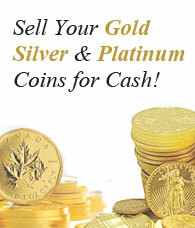 We at LA Cash for Gold™, created the first "Live Prices" chart available locally and nationally in the United States. Our “Live Prices” automatically updates every two minutes directly from the New York Stock Exchange. We also implemented the first "Cash for Gold Calculator". Our websites became popular and an instant success with customers nationwide. We decided to make one more significant addition which shows the customer 100% of the spot precious metals trading price. We created a site called: www.CashforGoldCalculator.com which is a free tool for customers to really see what the current Market Spot Price is and how gold breaks down by purity known as the term karats, not to be confused with carats which is the measurement for Diamonds. The standard weight of measure for precious metals is Troy Ounces, Grams, and DWT (pennyweight).